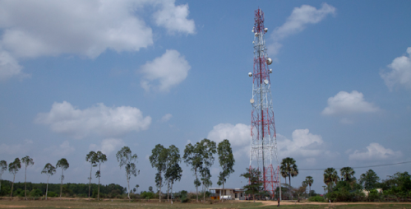 With years of experience providing solutions for numerous numbers of cell tower sites, Professional Track delivers cell tower site design and construction for diverse cellular sites in all Afghanistan. As a true infrastructure partner providing convenience from a single point of accountability with a complete basket of services, Professional Track is on hand to walk clients through every stage of the process. Professional Track’s Civil Engineering Department offers complete design services according to EIA/TIA and local standards including Architectural Site Layout; Structural Steel Design and Detailing; Concrete Foundations Design; and Civil Works including drainage, access roads, grounding, underground conduits and security. The Professional Track team of professional engineers has over thirty years of engineering experience and has provided engineering designs for thousands of cell tower sites for Roshan Telecom Afghanistan, Etisalat Afghanistan, MTN Areeba Afghanistan, ZTE and Huawei. Professional Track offers a single point of communication ensuring rapid services and adherence to schedule. Quality execution and excellence are delivered to meet all telecom towers: concrete/steel monopole, guyed towers, self-supported, rooftop, stealth, co-location or technology implementation needs.